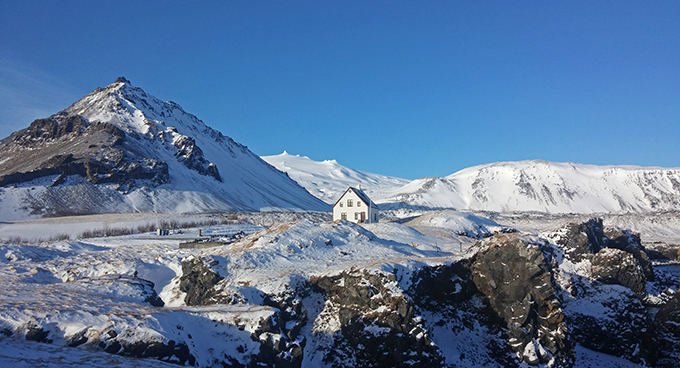 This tour is build around the main attraction, beautiful Snæfellsnes peninsula. But when we also add our favorite spots in the Borgarfjordur valley, like the Hraunfossar waterfall and our special Salmon River hike you obviously have the most complete three-day tour. The Snæfellsnes peninsula is an area of outstanding beauty famed not only for its supernatural powers and otherworldly connections but also for its profoundly interesting geological history. The jewel of the region being of course the Snæfellsnes glacier. You will have the most spectacular coastal drive with multiple options for scenic stops. Among the highlights are the small villages Stykkishólmur, Arnarstapi and Hellnar and the sea stacks around Svalþúfa. Icing on the cake will be provided by the lava cave Vatnshellir and the Ice tunnel, where you can stroll inside the ancient glacier ice. Everyone loves the Icelandic horse!